Matt is a native of Victoria BC, and no stranger to sustainable seafood. He first came to Calgary to open Catch back in 2001 and has gone on to work in some of Canada's most esteemed kitchens, including "Top 5 Winery Restaurants on the Planet" The Terrace Restaurant at Mission Hill. 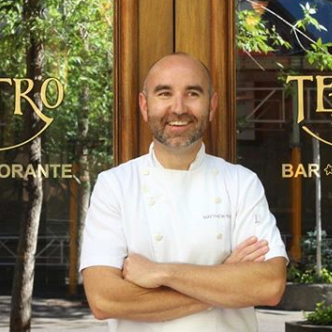 He is currently Executive Chef with the Teatro Group. Join us for the next event in our Sunday Supper Series. Chef Jamie Harling shares the kitchen with guest Chef Matthew Batey for a fun and delicious dinner featuring Ocean Wise recommended sustainable seafood. Our wine and cocktail list are also available.